My skin always feels so dry in the winter…does yours?! As the seasons change, it’s also a good time to consider transitioning from a lightweight summer moisturizer to something more deeply nourishing like a face or body oil. In general, oils tend to offer a more concentrated nourishment for a skincare regime compared to a lotion, whose benefits are often diluted with water. The misconception of oil-based skincare products is that they are heavy and greasy, but in my experience, that hasn’t been the case at all…as long as you are using a brand with pure and high quality ingredients. Some common plant and nut based oils used in skincare products include: sunflower seed, avocado, coconut, argan, rosehip, lavender, rosemary, apricot kernel, jojoba seed, and rose geranium. Each oil extract has different properties, so brands will play alchemist and mix together proportions of different varieties until they create a formulation that’s perfect to them. Here’s a round up of Canadian skincare products which offer a face or body oil. Your skin will feel good from being nourished with high quality oils, while you’ll feel good about supporting Canadian brands and independent businesses. 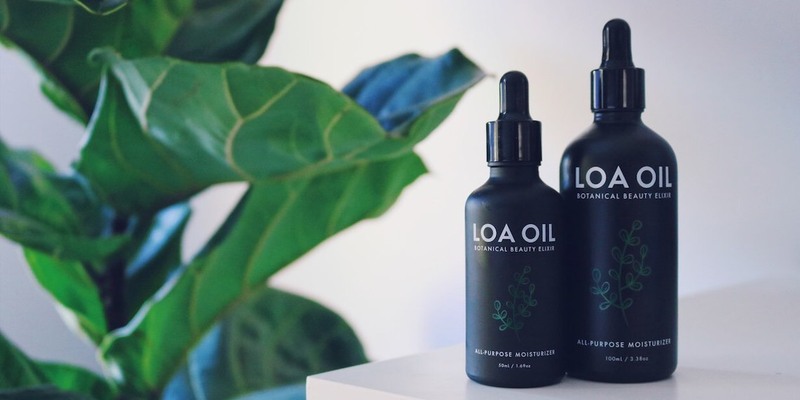 LOA OIL is a one-product brand, offering a luxurious “botanical beauty elixir” oil-based moisturizer. Its lightweight texture absorbs effortlessly into the skin, working to soothe dry and inflammatory conditions. Their multi-action antioxidant formula is extremely rich in omega-3 and 6 essential fatty acids, which is particularly beneficial to those with acne, eczema, rosacea and other skin concerns. LOA is certified palm oil-free and vegan, and contains no environmentally destructive or toxic ingredients. SCHMEAR is a Vancouver-based skincare line that aims to provide simple, honest, and 100% food-based skincare products that help people feel great in their own skin. They believe the standards we have for the food we eat should also be applicable for the products we use on our skin. 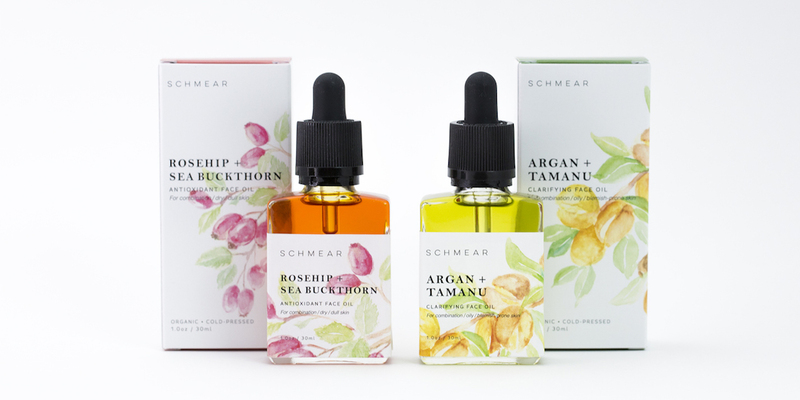 SCHMEAR’s two 100% food-based face oil blends are made of organic, cold-pressed, virgin plant oils, and free from unnecessary fillers and synthetic ingredients. For dry or dull skin, the Rosehip + Sea Buckthorn Antioxidant Face Oil is an amber blend of virgin botanical oils like baobab, sea buckthorn, and carrot seed which help deeply moisturize and protect the skin. For oily or blemish-prone skin, the Argan + Tamanu Clarifying Face Oil is a lightweight formula of argan, tamanu, neem and moringa that absorbs quickly and helps balance and regulate the skin’s oil production. Handmade in Coquitlam, BC, Scentuals Natural & Organic Skin Care is a toxin-free and cruelty-free company dedicated to providing quality natural products from skincare to aromatherapy products. Scentual’s mission is to provide a non-toxic alternative to harsh chemical products and to help our community achieve a naturally healthier lifestyle. Each collection is formulated with sensitive skin in mind and crafted to heal, rejuvenate and protect; utilizing pure essential oils, cold pressed oils, botanical and natural ingredients. 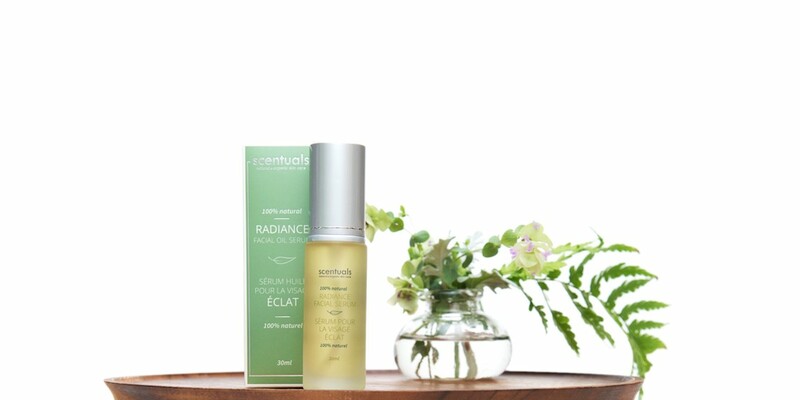 Scentual’s Radiance Facial Oil Serum is crafted to balance and revialize with a blend of 100% pure essential oils. Frankincense, Jasmine and Rose geranium essential oils re-balance and calm irritated skin while Organix Argan, Grapeseed and Jojoba essential oils promote long-term skin health. While visiting the Philippines, Cristina Madara discovered cold-pressed virgin coconut oil — a pure and natural oil extracted from coconuts without a trace of chemicals. Cristina recognized she had discovered a skincare gem, and subsequently, founded her coconut oil beauty brand c beauty. Launching with a trio of Universal Oils, each product combines virgin coconut oil with pure essential oils — like lavender or ylang ylang — that help to smooth, renew, or relax the skin. 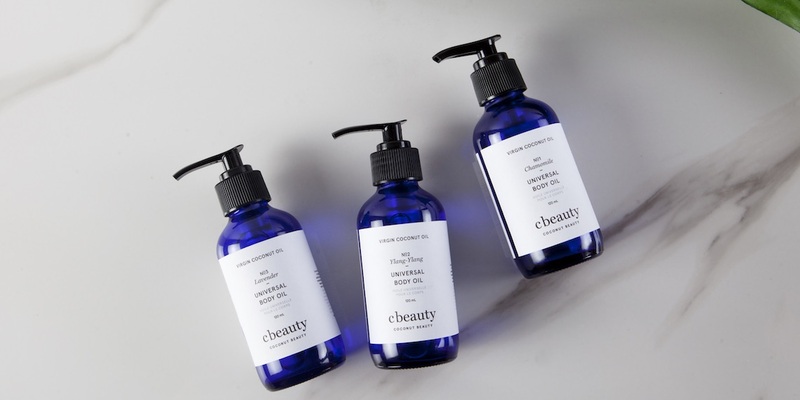 C beauty’s versatile Universal Oil can be used as a leave-in conditioner for hair, as an intense spot treatment for dry skin, or as an all-over moisturizer. The brand is available both in Vancouver and also at recreational clubs and fitness studios in the Philippines. Jasmine Venditti started her hobby of formulating natural body and skincare products as a hobby inspired by her own skin sensitivities, as well as the investigation into the laundry list of questionable ingredients found in mainstream brands. Her brand Wild Jasmine Natural Apothecary offers two oil products — the Facial Oil which pairs eleven natural plant and essential oils reputed for their skin rejuvenating properties — including Apricot Kernel, Rosehip, and Argan — while the Body Oil is formulated with Apricot Kernel, Coconut and Jojoba. Both formulas are hand-blended using natural raw ingredients. 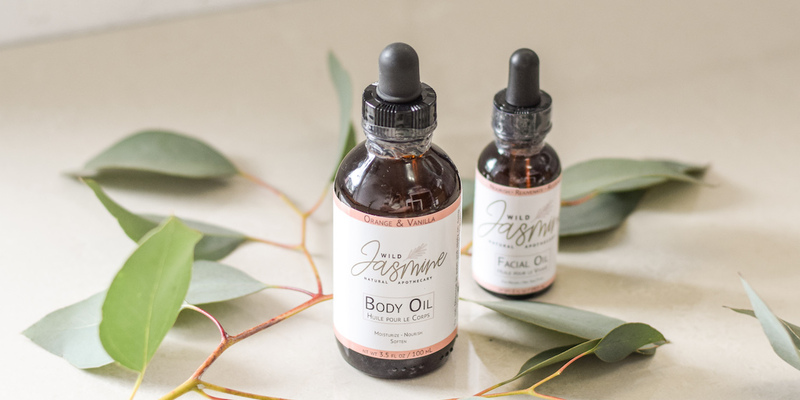 Many of the botanicals and herbs found in Jasmine’s skincare line originate from her parents’ market farm in Lister, BC. The name Dadirri comes from an Australian Aboriginal word which embodies the concept of inner deep listening and quiet still awareness; a ‘tuning in’ experience to deeply understand the beauty of nature. 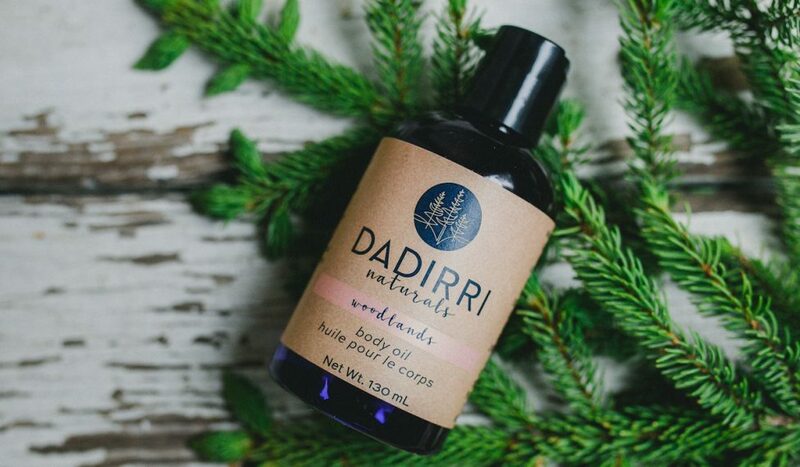 Formulated by clinical aromatherapist Ashley Delorme, Dadirri Naturals oil products are full of nourishing ingredients such as sweet almond, sunflower, and avocado, paired with essential oils for scent. Dadirri’s multi-purpose Body Oil products use sunflower oil and sweet almond oil which both absorb quickly and doesn’t leave a greasy feel behind, as well as avocado oil for deeper hydration. Use them in place of lotion, in the tub as a bath oil, or for massage. After struggling with allergies and eczema all her life, Province Apothecary founder Julie Clark began crafting natural, organic beauty products out of her kitchen to treat her own skin. Now an accredited Holistic Health Practitioner, Skin Therapist and Aromatherapist, Julie creates pure, effective products that benefit even the most sensitive of complexions. 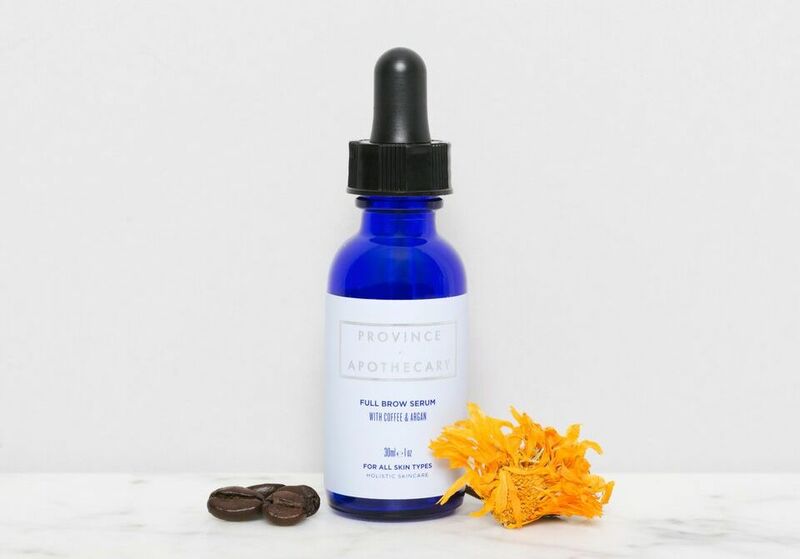 Province Apothecary sources high quality organic, wildcrafted ingredients from each Canadian province and hand-blends these ingredients in small batches to create skincare that will nourish and balance the skin. One of their best-selling products is the Radiant Body Oil, a luxurious, all-over argan oil formula suitable for all skin types. In addition, Province Apothecary also formulates products, targeting specific hair and body regions. The Full Brow Serum is a powerful blend of active plant botanicals specially formulated to encourage stronger brows, using coffee-infused oil to naturally stimulate hair growth while conditioning hairs from root to tip. Meanwhile, for the guys, the Beard Oil — made with cedar wood and black spruce oil — moisturizes with a soft, woodsy fragrance to comfort and ground. Graydon Skincare‘s All Over Elixir Oil is a lightweight all-over body oil rich in vitamin E that helps with signs of aging while promoting youthful looking skin. Infused with essential oils like sandalwood, chamomile and lavender, this oil contains a comforting herbal scent that will help soothe your senses. True to its “all over” name, the product serves multiple purposes. A drop or two can be blended into your favourite moisturizer, or used alone as a facial oil before bedtime. The product can also be used on the body after showering on damp skin to lock in moisture and also as a hair conditioning treatment for dry locks. 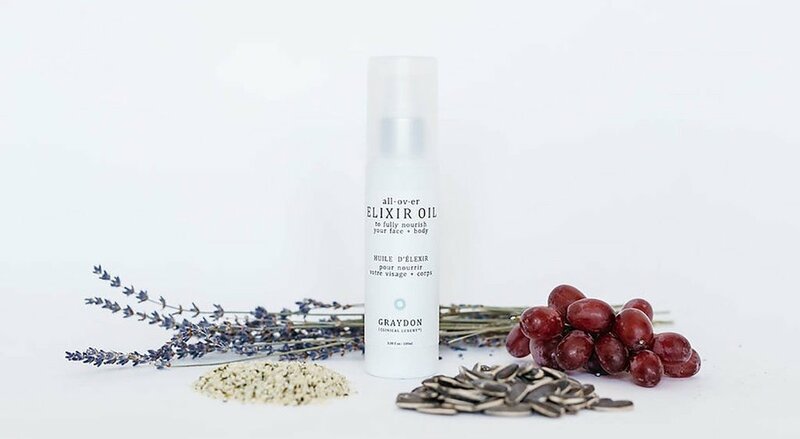 Graydon’s All Over Elixir Oil is made with only natural oils and no additives.